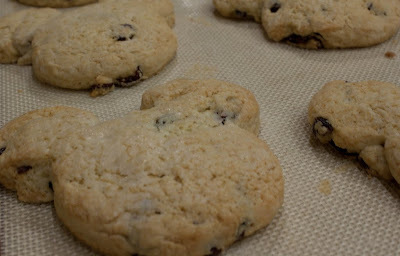 I made some of Alton Brown’s cranberry scones today after Chuck was over. 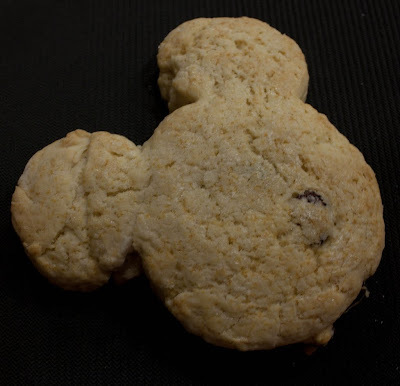 They came out delicious as usual and since I have amassed a large quantity of Mickey shaped cookie cutters, I decided to use one of those for them instead of a biscuit cutter. I am glad I did because they came out adorable! In a large mixing bowl, combine flour, baking powder, salt and sugar. Mix well. Cut in butter and shortening. In a separate bowl, combine cream with beaten egg then add to dry ingredients. Stir in fruit. Turn dough out onto a floured surface. 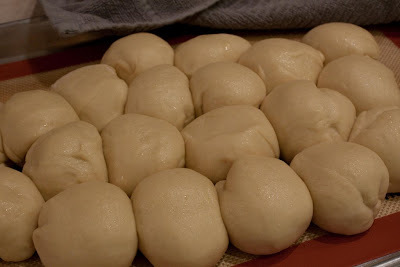 Roll dough out and cut into biscuit size rounds. Bake for 15 minutes or until brown. I have to remember to post when I make things nowadays! I always take pictures but sometimes forget to do writeups! Posted by galadriel07 on January 31, 2011 in The Bakery! So I decided to bake a whole bunch of things today. 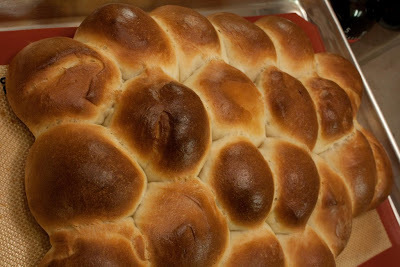 I needed to practice the dinner rolls for thanksgiving to see if I should make them from scratch or just get the ones from the frozen department of the store. 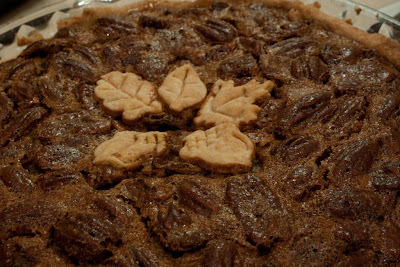 I also put together a pecan pie, from scratch as well as cranberry scones! Everything came out awesome so far. I have to remember that when I put something on the bottom rack of the oven, it tends to burn the bottom of whatever it is I am baking. 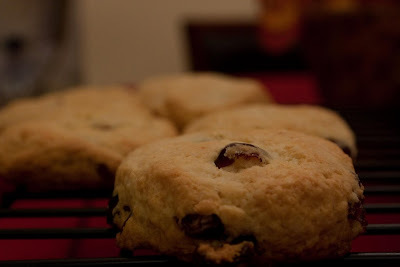 The recipe for the scones is up first since I have made it twice now. The first time I made it, I added fresh blueberries. The scones ended up deflating and spreading instead of puffing up like they were supposed to. This time, I used craisins and they ended up coming out PERFECT. I am VERY proud of these. For this one, I followed the recipe exactly as written. I try not to deviate from things that I have never made before. 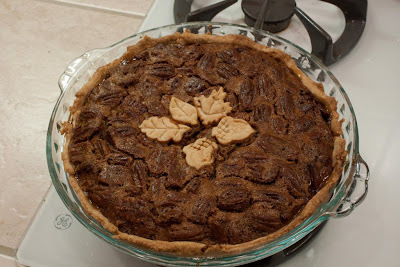 I also made a pecan pie for the very first time. It looks amazing but I haven’t tasted it yet. 1. Preheat oven to 350 degrees F (175 degrees C). Place pie shell in a 9 inch pie pan. 2. In a medium bowl, gently beat eggs. Stir in sugar and flour, then the syrup, butter and vanilla. Fold in pecans. Pour mixture into pie shell. 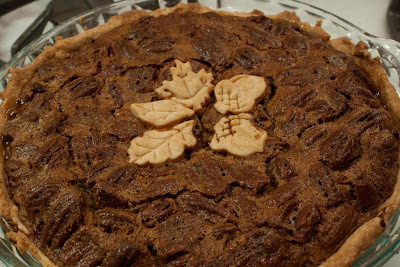 Bake for 50 to 60 minutes; knife inserted in center of pie should come out clean. I made some dinner rolls from The Bread Baker’s Apprentice book that Bean recommended to me but they have just gone into the oven. I am hoping that they will work for Monkey bread. My mother in law loves Monkey Bread. Not sweet, but savory. 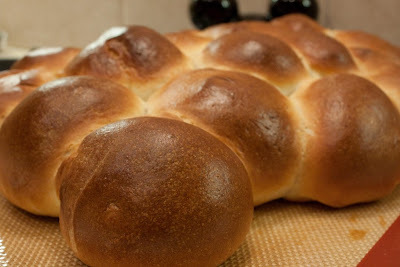 I made something up with frozen bread rolls last year and I wanted to see if making them from scratch will be worth it. Here they are rising for the last time. Posted by galadriel07 on November 12, 2009 in The Bakery!